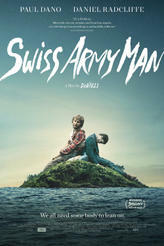 This week on Indie Movie Guide host Alicia Malone recommends Miss Stevens, Swiss Army Man and more! 'Swiss Army Man' cast stops by at Sundance to discuss their new film. Looking for movie tickets? Enter your location to see which movie theaters are playing Swiss Army Man near you.